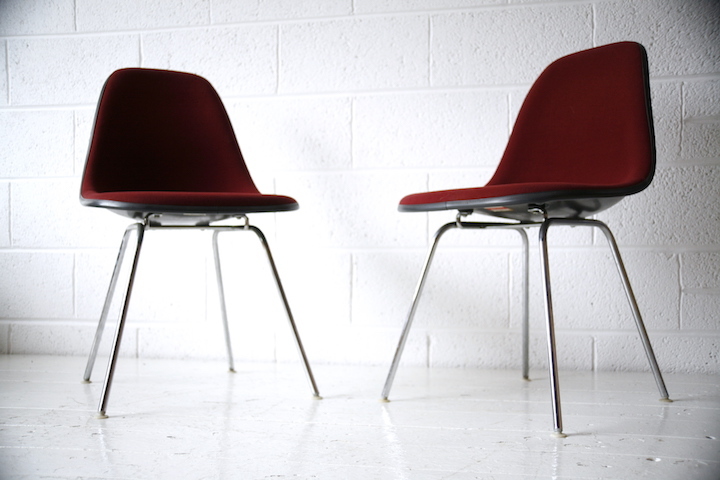 A superb pair of vintage shell chairs. 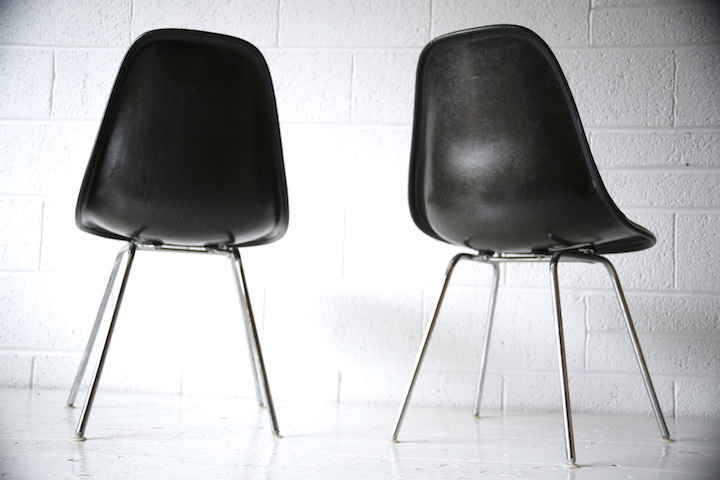 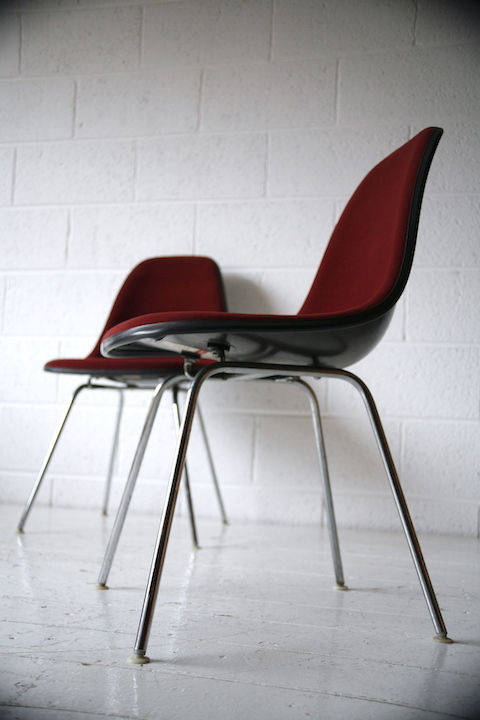 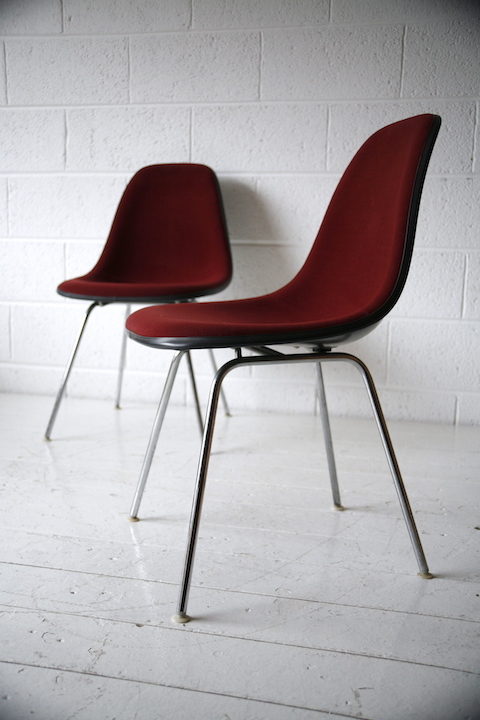 Designed by Charles Eames and produced by Herman Miller. 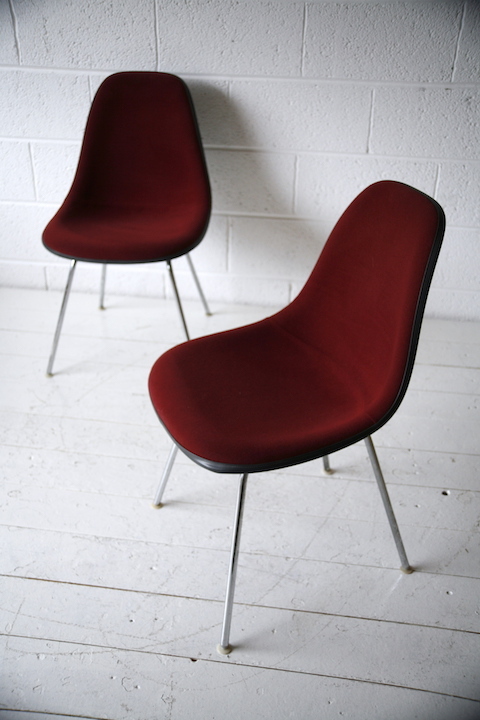 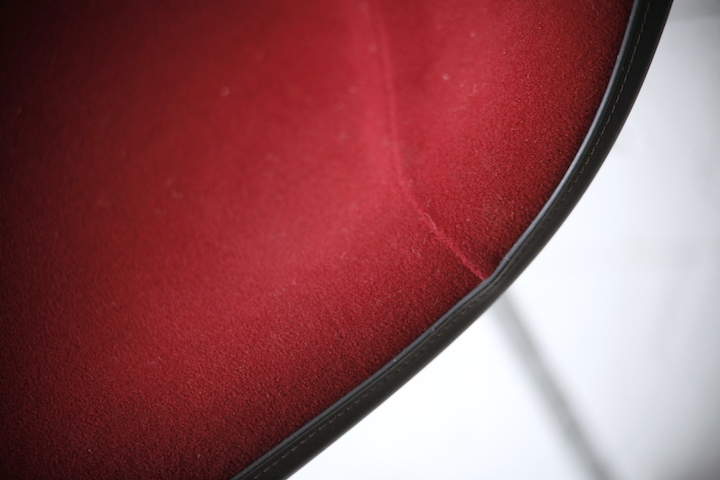 Upholstered in maroon velour on 'H' bases. 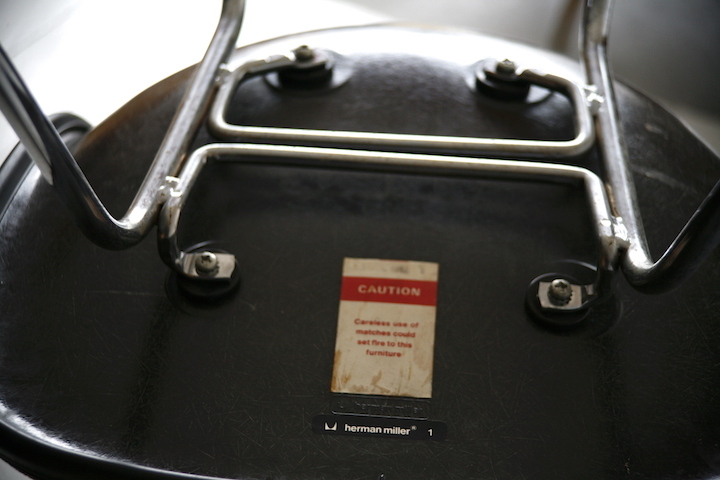 In very good vintage condition with some light marks and age related wear.